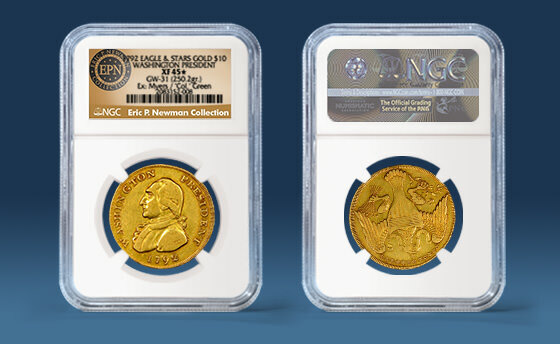 NGC has certified the late Eric P. Newman’s most cherished coin: the unique 1792 Washington President Gold Eagle that researchers believe was presented to George Washington and carried by him as a pocket piece. Graded NGC XF 45★, the coin will be sold without reserve by Heritage Auctions on August 16, 2018, at the ANA World’s Fair of Money in Philadelphia. All of the net proceeds will be donated to charity.